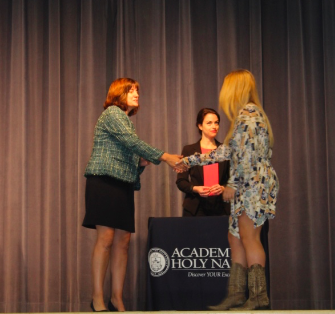 Junior Lauren Jones says only after a week of receiving her ring, "It already feels weird to take off my ring. 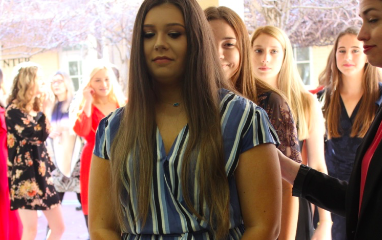 I took it off for cheer once, and I got so nervous." 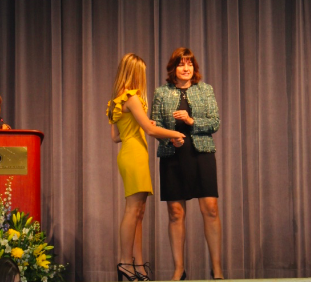 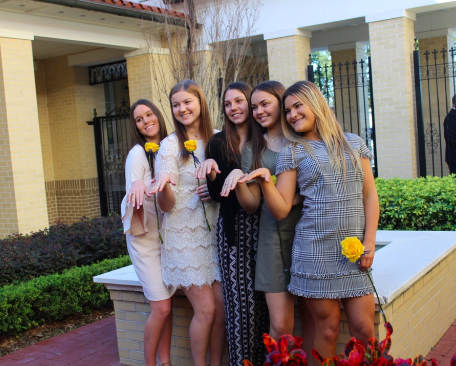 A brisk Friday in late January featuring yellow roses, bouncing curls, the echo of heels, new jewelery tailored to the students and the school’s motto, the rustle of over 100 girls could mean none other than the notorious Junior Ring at Academy of the Holy Names. 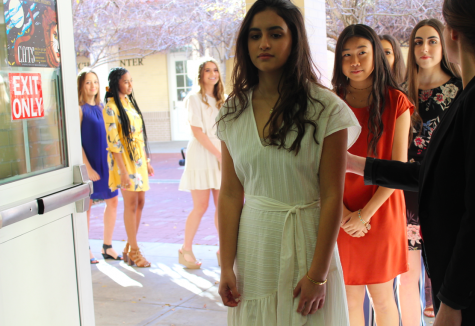 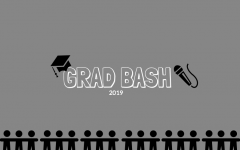 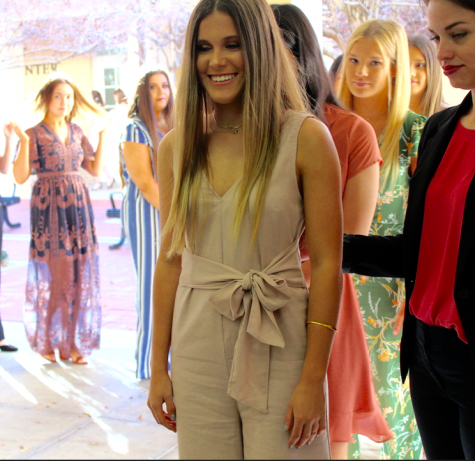 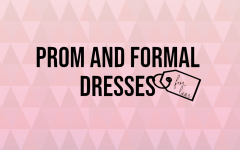 As the Junior class is being initiated into the eternal sisterhood with the girls who have come before her as symbolized by the infamous ring, the girls have the opportunity to dress accordingly to their individual style. 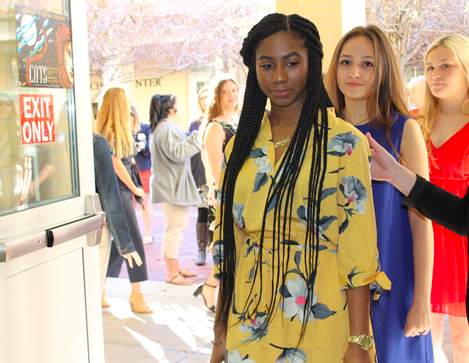 Each year, the Achona staff evaluates each girl’s outfit and votes whose personal fashion statement left a mark. 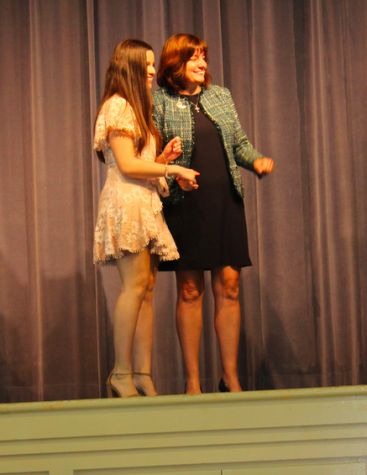 The categories this year included Best Overall, Best Dress, Best Hair, Best Jumpsuit, Best Floral, Frances Kratz, Best Shoes, Most Bold Color, Most Unique, Best Makeup, and Honorable Mentions.